At the La Moneda Palace in Santiago, Chile, Chilean President Michelle Bachelet and Kristine McDivitt Tompkins, President of Tompkins Conservation, signed the decree to create “Pumalín National Park – Douglas R. Tompkins.” This marks the final act in creating the network of parks of Chilean Patagonia, which establishes over 10 million acres of new national parklands and includes what has been billed as the largest donation of land from a private entity to a country in history. With today’s signing and naming ceremony, the government of Chile recognizes Douglas Tompkins’ legacy by giving his first and most iconic conservation philanthropy project his name. 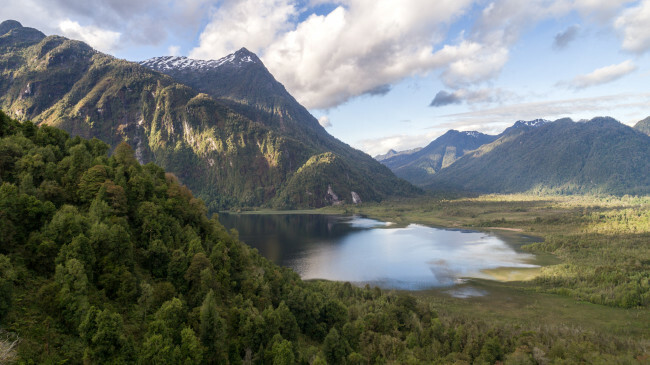 Douglas Tompkins began the creation of Pumalín in 1992 by buying large tracts of land to protect the region’s pristine temperate rainforests. Today Pumalín encompasses 994,000 acres—larger than Yosemite National Park—including almost 725,000 acres donated by Tompkins Conservation. The park stretches from the heart of the Andes Mountains to the fjords of the Pacific Coast and harbors the endangered Alerce (Fitzroya cupressoides), some of the oldest living trees on the planet. Located on the scenic Carretera Austral, Pumalín welcomes visitors from Chile and around the world to experience its natural wonders via the extensive network of trails, campgrounds, cabins, and other facilities. 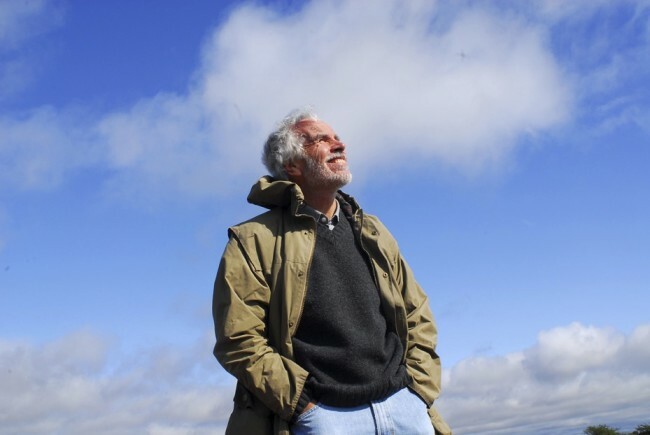 It is remarkable that Doug’s legacy and dedication to conservation is being honored today at the highest level of the Chilean government, as his efforts and intentions were met with opposition and controversy initially. The tradition of environmental philanthropy was not customary, and as a result, locals were skeptical when they learned of foreigners acquiring vast areas of land for conservation. Over the years, though, as the Tompkinses demonstrated their intentions and communities began to benefit, skepticism subsided. 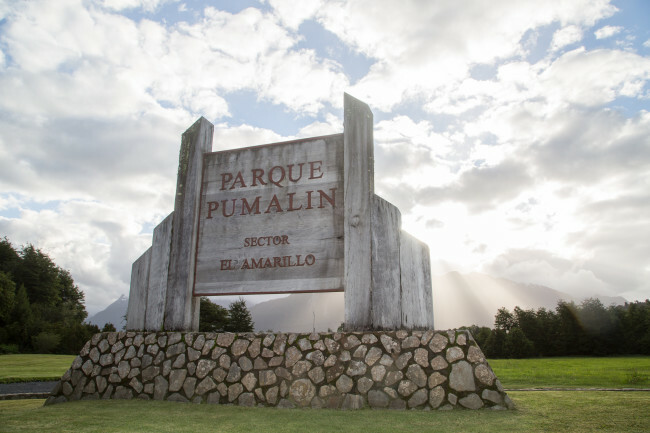 Today, Pumalín and Tompkins Conservation’s other projects like Patagonia Park and Iberá Park in Argentina are not only widely recognized and visited by tourists from all over the world, but as a consequence of conservation, they are becoming sources of economic vitality for their surrounding areas. About Tompkins Conservation: Tompkins Conservation collaborates with the governments of Chile and Argentina, local organizations, and communities to create national parks—places of beauty, abundant wildlife, and recreation that serve as sources of income and pride to neighboring communities and the entire nation. For more information see www.tompkinsconservation.org/who_we_are or visit us on Facebook, Instagram and Twitter. Tompkins Conservation was founded by Kristine and Douglas (1943–2015) Tompkins, business leaders from iconic American clothing brands including The North Face, Esprit, and Patagonia, Inc., who changed the course of their lives more than 25 years ago to devote their funds, time, and passion to fight the biggest crisis in the world: biodiversity loss. The Tompkinses ultimately concluded that creating large national parks where evolutionary processes could take their course was the most effective way to combat this loss. National parks represent the “gold standard” of biodiversity conservation, offering a unique set of ecological attributes, cultural values, ​​and economic benefits to local communities, while also guaranteeing long-term conservation. Tompkins Conservation is the leader in the Americas in what is known as “rewilding,” restoring natural ecosystems and reintroducing wildlife that has disappeared from a region because of human pressures.